Little Owls Ceilidh – Revised Date! 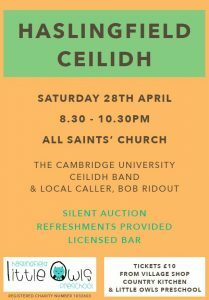 The highly regarded Cambridge University Ceilidh Band, will be playing for us on Saturday 11 May at All Saints’ Church. There will be a licensed bar and local caller, Bob Ridout, will once again be guiding us through the dances. 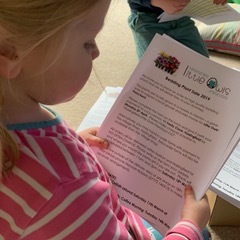 Your Little Owls Plant Sale Form will be delivered shortly. (Please click here for a copy of the form). An annual Little Owls’ Preschool fundraiser, we offer high quality and excellent value bedding plants for sale … delivered right to your door! We are grateful to Esson Print who have printed our forms for us again. Little Owls Preschool is Recruiting! Haslingfield Dog Show! Sunday 16 September from 3pm. Little Owls is proud to bring to this year’s Scarecrow Festival the Haslingfield Dog Show – 16 Sept from 3pm on Wellhouse Meadow. We will have lots of different classes and an agility speed run. There are rosettes for the first three places and Best in Show. 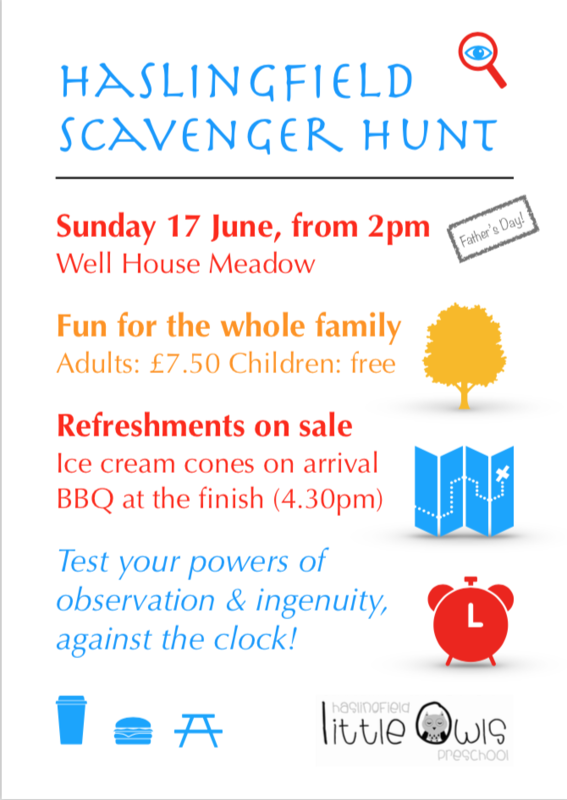 We will be serving tea and cake with garden games (suitable for both adults and children) in the adjacent dog-free field. We plan to set up a rock painting area – please BYO rock if possible. Please click Dog Show poster for more info. A wonderful opportunity to manage an established village preschool. Please see the job advertisement here and feel welcome to contact us with any questions. We feel sad to accept the resignation of our current manager, but are confident that we will recruit a manager to lead our team and continue the gentle, calm and high quality approach that we are proud of. 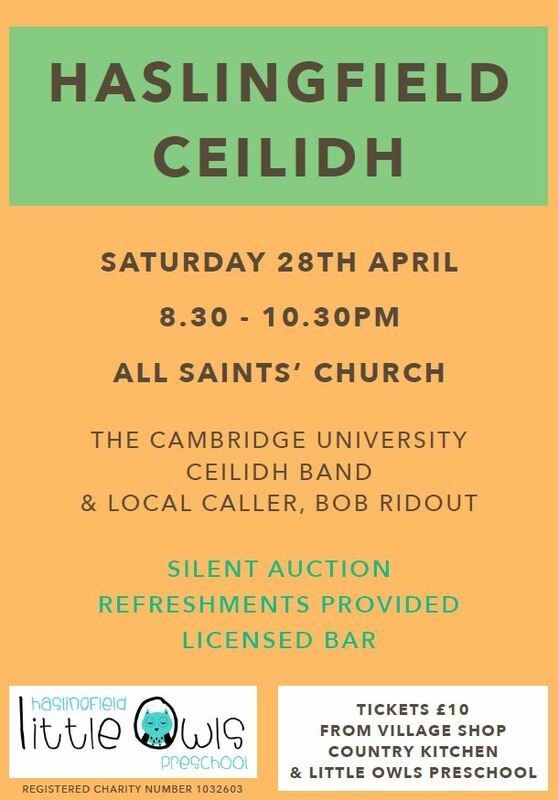 The Cambridge University Ceilidh Band and local Caller, Bob Ridout return to All Saints’ Church next Saturday to get locals on their feet, take their partner by the hand and ‘Strip the Willow’ amongst other reels! As in previous years, it promises to be a great night out, with barrels of fun and laughter. There will be a licensed bar, light refreshments included and a unique set of tempting silent auction prizes to bid on. Tickets are £10 and available at the Country Kitchen and Village Shop. Little Owls looks forward to seeing you there! 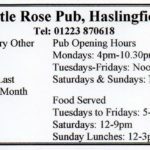 Easter Sunday 16th April sees the annual free Easter Egg Hunt at the Little Rose Pub. Just turn up on the day in plenty of time for the 3pm start at the pub. Open to all the village’s little people. 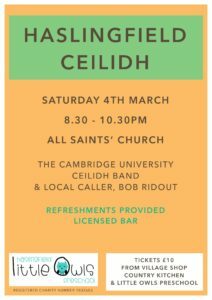 We are thrilled to welcome back to Haslingfield the highly regarded Cambridge University Ceilidh Band, playing for us at All Saints’ Church on Saturday the 4th of March from 8.30-10.30 pm. There will be a licensed bar and local caller, Bob Ridout, will once again be guiding us through the dances. 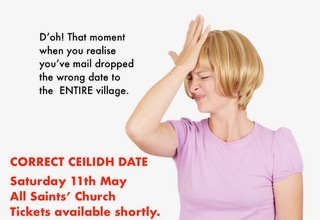 Last year’s Ceilidh was terrific fun and we can promise you a great evening out. Click the pic to see full details. 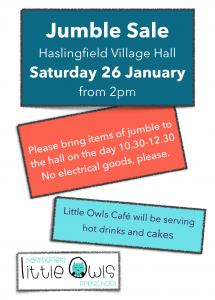 Don’t miss our Jumble Sale on Saturday 28th January at 2pm in Haslingfield Village Hall! Please drop any items of jumble and unwanted Christmas presents to the Hall on the day between 10.30am and 12.30pm. No electrical items please. 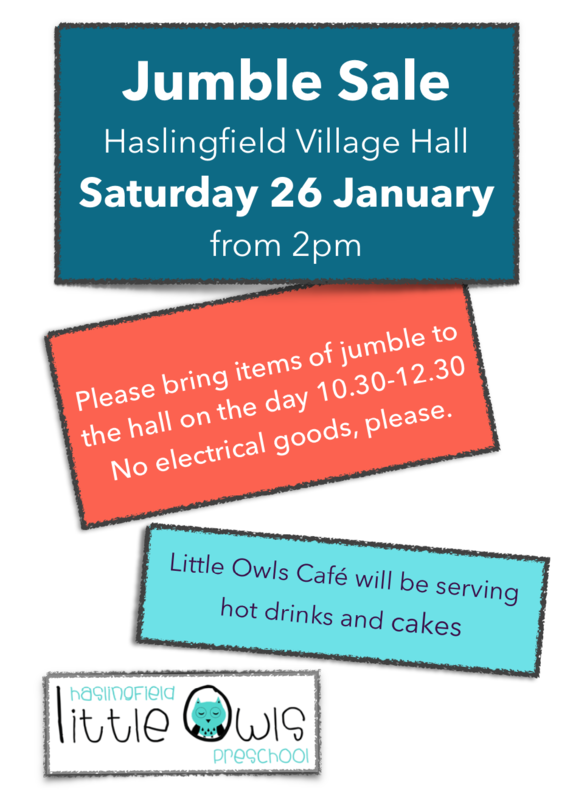 Little Owls Cafe will be serving tea and cakes during the jumble sale. Join us for a fabulous evening of delicious hearty food and live music. Inder’s Kitchen will provide a sumptuous Indian buffet of curry dishes and dips and our very own Tiffany Britton & John Lovegrove will be performing an eclectic set of favourite tunes. An evening of entertainment not to be missed! Tickets £18 each or £30 for 2 available from Haslingfield Village Shop or from Hayley Bentley, in support of Little Owls Preschool.